Added on 11 September 2018 . By Anisah Audu. Move over Cutty Sark, there's a new bad boy in town and this one is going to have all the Instagrammers flocking. 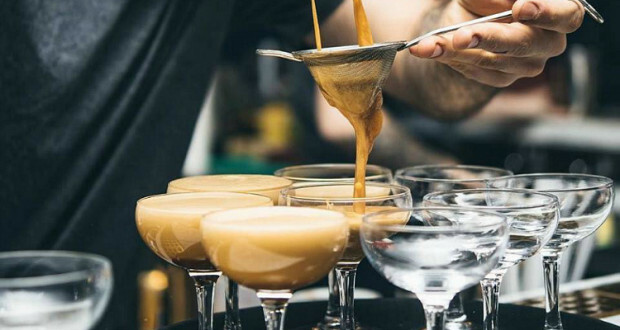 Launching their first ever site outside of Zone 1, Grind is heading south of the river, with a brand new venue only minutes from Greenwich station. You can expect a lounge at the front, a cocktail bar serving up their famed espresso martinis, a large conservatory dining room and garden further back. As part of a huge expansion that will see Grind setting up shop in airports and train stations, this marks a major step for the popular coffee spot. Taking over the former site of Jamie’s Italian, Grind will be housed in a grade listed building. Expect a plush interior adorned with plants from Conservatory Archives; the perfect setting from breakfast, through to after-work drinks and brunch at the weekend. Whether you're after a breakfast burrito, flat iron steak or sharing plates, you'll find it all here. Of course, the signature coffee and cocktails will be a staple, with smoothies, cold-pressed juices and more on the menu. There will even be a space next door for those on the go to get their hands on takeaway coffee.